Vibrant and breathtaking, this luxurious original transitional carpet was exquisitely hand knotted in India from the finest recycled Sari silk. 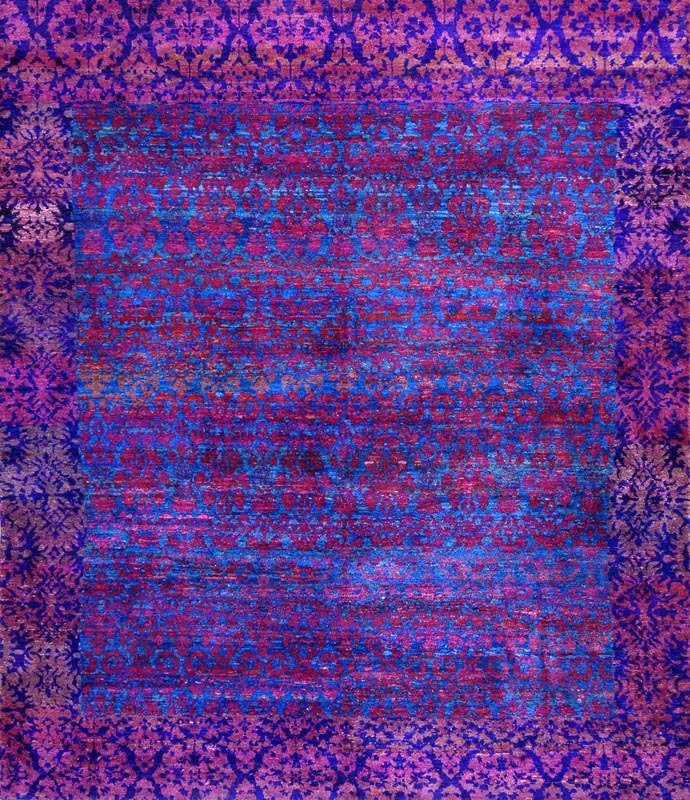 Cyrus Artisan Rugs' M-7 rug design from the Amaluk Collection features an artistic take on classic floral patterns with a gorgeous sheen and vivid color palette, making it an exquisite piece for any modern interior. Its lustrous transitional design blends traditional motifs with lasting beauty while the hand knotted silk guarantees superb resilience. The superb craftsmanship, average thickness, and long-wearing natural materials ensure the extremely unique and gorgeous piece will be resilient.